The in-game world is inhabited by many characters with varied abilities and characteristics, affecting the gameplay by making their own decisions and dynamically responding to your actions. The map is also filled with societies of various cultures and religions, featuring e.g. citizens, freemen, tribes, and slaves. 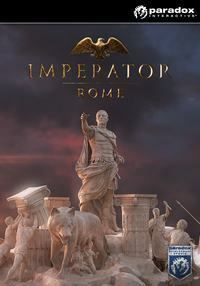 Imperator: Rome allows you to choose from various forms of government, such as monarchy, tribe clan structure, or senate republic. A key aspect of the gameplay is also trade and investing in the development of your provinces, upgrading i.e. buildings, roads, and defensive structures. You also spend a fair share of your time waging war. The right strategy can be prepared before battle; each culture has their own war traditions, giving you unique bonuses, abilities, and units. You also have to deal with revolts and barbarian invasions. Expectations: 8.9 / 10 calculated out of 193 players' votes.